Last year, OCCC had the largest graduating class in the history of the college. Because of that and other successes, President Paul Sechrist said, the college has been selected as a Leader College through Achieving the Dream, Inc., a national initiative organization for 200 higher education institutions. 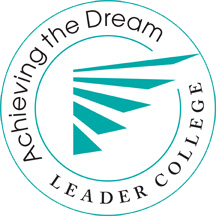 OCCC is one of only 16 community colleges nationally to be named as a Leader College. Sechrist said. The goal of the initiative was to implement programs that would increase the number of students who are retained, completed courses and graduated, he said. OCCC has been a member for seven years. “Part of Achieving the Dream organization was to bring together colleges who were trying to improve all those numbers, share best practices, and support each other through the work,” he said. One of the most significant areas of improvement at OCCC has been the redesign of developmental math, Sechrist said. “The percentage of students who complete the course with a passing grade has dramatically increased, allowing more students to go on and pass the college level math class,” he said. However, it’s beyond just the math, Sechrist said. Other areas include implementation of the Success in College and Life and other courses, he said. “ … Students who take (Success in College and Life) in their first semester are retained at higher levels,” he said. OCCC also has improved in helping students with regular obstacles, like transportation issues, child care and basic needs. “We knew that some of our students struggle with child care, [so] we implemented student scheduled child care,” he said. Overall, Sechrist said, the improvements have made OCCC even better. “It’s not just about getting into college,” he said. “It’s about what happens once you get here and making sure that you stay long enough to get a degree. Sechrist said this is the first time OCCC has applied as a Leader College. “I feel like it’s a great validation of our hard work and our successes, so it’s nice to have the national recognition to validate what we have been doing at the college and the results that we’ve seen,” he said. Sechrist said he and other officials felt OCCC had a good chance since the school has a good record. “Once you’ve demonstrated some success, then you have the opportunity to apply to the organization to receive this designation,” he said. Was it up to scale? Is there support among the faculty and staff and the leadership? To apply, Sechrist said, OCCC’s data is evaluated which includes surveying the culture of the faculty and staff. “[It] determines if they support moving the institution toward higher levels of success for the students,” he said. Sechrist said Achieving the Dream confirms OCCC is on the right track. For more information, visit http://achievingthedream.org/about-us.